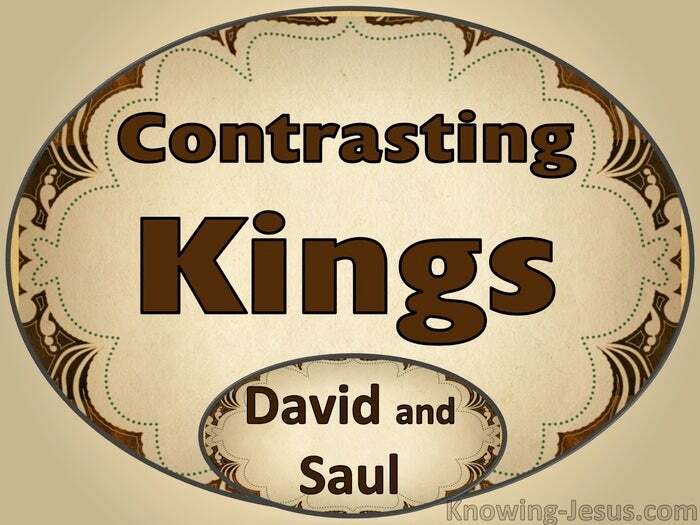 What a contrast there is between King David and King Saul. Both were chosen by God to be king of Israel – to rule over His chosen people. Both had the spirit of God on their lives – and both did some mighty acts of valour. Both kings did some pretty awful things as well – but there was a huge difference…. Both saw mountainous problems thundering upon them… but what a contrast. What a difference there was between both men – in their perception of the Lord. What a different attitude they both adopted – towards God and towards themselves. When looking at his depleted army, Saul would not trust God’s word of deliverance. Saul tried to sort out his problem his way.. Saul could not wait for God’s timing. Saul was also a man who repeatedly blamed everyone else for his problems – he even accused God of not being there for him and put the blame onto God. Saul didn’t recognise his own responsibilities nor his own personal failures. Saul didn’t have a teachable spirit, and so his life became one of deepening failure. Bottom line…. Saul didn’t trust God – resulting in his disqualification as God’s king. Saul’s human reasoning discounted God’s word – so he did things his own way. Saul saw a crisis looming up… and placed his confidence in himself and not in God. He didn’t think God would work in the various ‘life-threatening’ situations he faced – and Saul did this repeatedly – and seemed not to understand that God is in control. 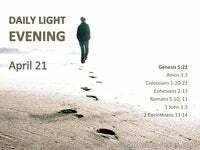 No matter what enemies loomed in his ever-darkening world – Saul did not trust God. Three times his wrong attitude towards God was clearly demonstrated in 1 Sam. 13-15 Each time Saul did what was right in Saul’s eyes – ignoring God’s instructions. David was a contrast to Saul – not because he was fearless – he was often fearful. The Psalms are replete with instances of David’s fear of some enormous difficulties, and many occasions David is found to be acting with foolish impetuosity. David may also have been an impetuous man, but was God-centred not self-centred. He may have planned many erroneous strategies but he was prepared to be corrected. Unlike Saul who justified his wrong actions, David cried out in repentance. Unlike Saul.. David eventually recognised his personal responsibilities towards God. 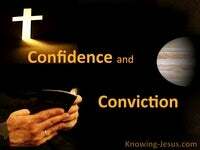 For instance… when confronted by the prophet Nathan with his sin, David accepted his correction. He recognised that his sin was against God – and unlike Saul, David repented. David repented, while Saul continued to justify his wrong attitudes and actions. Was David perfect? Certainly not! David was not perfect for he had blood on his hand and lust in his heart. Was David faultless? Indeed no! David was not faultless for he had some very unpleasant propensities.. but David was a teachable man – whose heart was open towards the Lord. David was a correctable man – who was prepared to turn from his sin. FIRST : David understood that human existence is about God, not about selfish ambitions. Even if ambitions are rooted in acts of God [such as David’s anointing by Samuel – David knew that God determines life’s purposes, not our own selfish ambitions. SECOND : David never questioned that the Lord was in sovereign control of his life. He made some horrible choices and he committed some heinous sins – however David never consciously rejected the word of the Lord. THIRD : David accepted responsibility for his actions, his thoughts and his choices. David was willing to learn from the wisdom and instruction of others – he listened to the word of the Lord and was jealous for the honour of God. FOURTH : David constantly stood ready to repent when he made mistakes. He did not immediately blame others or accuse God of not being there! He did not try to justify his failure but cried out, “I sinned! It is my fault!” – what a contrast there is between king David and king Saul. Both were called and chosen by God to be king. Both were appointed and anointed of God to be the ruler of His people. Both had the spirit of God on their lives and both did some mighty acts of valour. But only one was a man after God’s own heart who was jealous of God’s holy name. Only one had a teachable spirit and was prepared to listen and learn God’s will. Only one had a right attitude of heart towards God, only one took responsibility for his wrong actions,. 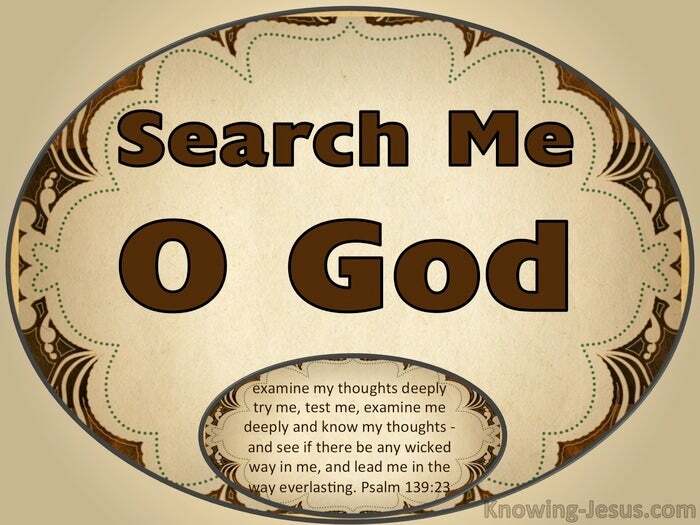 Only one was prepared to listen and learn – only one was prepared to cry out… Search me..